We all know we can’t win ‘em all. But that doesn’t make a losing streak any easier to take! To relieve the pain of a run of bad luck, Intertops Poker now gives players 25%-35% of their last deposit back if they strike out playing slots and table games like Blackjack or Roulette. If you lose an entire deposit games under the poker room’s Casino tab, just contact the customer support team via e-mail, phone or live chat and ask to get some of your deposit back. Unless you got a bonus on your deposit, they'll credit your account right away. Intertops Poker players can request a partial refund of their deposit if they don't win anything playing slots or table games. On weekdays you can get 25% of you cash back. On weekends you can ask for 35% cash back! You can request cash back up to 48 hours after a lost deposit. 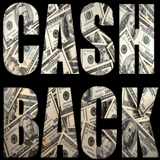 The cashback has a low 10x wagering requirement and no max cash-out. Intertops Poker is the busiest online poker room on the Horizon Poker Network. Players from all over the world are welcome. In addition to online poker, they also offer a big selection of casino games from Lucktap, Worldmatch and Betsoft including Slots, Baccarat, Blackjack, Roulette, Wheel Games and Video Poker.